Not registered yet? Signup here Lost your password? 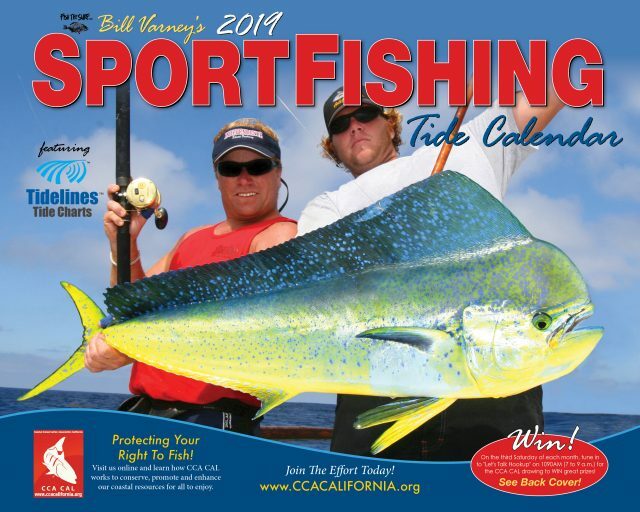 We’ve got a big announcement from CCA California, Bill Varney‘s 2019 CCA Sportfishing Tide Calendar is now out at stores and landings throughout California. This year’s calendar has great pictures, tides, moon phase, important dates, fishing tips and so much more. BD Outdoors is a growing, passionate online fishing community providing in-depth fishing reports, fishing gear reviews, fishing videos, fishing recipes, bass fishing and deer hunting focusing on all facts of sport fishing, boating, and hunting. Join in and ask “where is the fishing near me?” on our fishing discussion forums. Copyright @ 2019 BDOutdoors | All Right Reserved.